Patrick Redmond, M.A.’s two mini sessions/presentations (1:00-1:25 pm, “A Vision for an AEM NAEA [National Art Education Association] Design Issues Group” and 1:35-2:00 pm, “Recollections of a [Rural and] Greater MN Graphic Designer [-In-Residence] / Artist-In-Residence” Patrick Redmond, M.A.) listed under Saturday, November 4, 2017, 1:00-2:00 pm, Workshop Session V, in Board Room, Holiday Inn & Suites, Saint Cloud, Minnesota. Art Educators of Minnesota (AEM), “2017 AEM Minnesota State Fall Conference – Standard / Exceptional!" program guide, Saint Cloud, Minnesota, p. 3. Note: For further information, see 11.04.17 "News, Updates, Etc." Patrick Redmond's select presentation files are included under "Presenter Files" at the AEM 2017 Fall Conference website and may be viewed by clicking on name "Patrick Redmond" at that webpage. Examples of Patrick Redmond’s design were also included in the 2017 AEM Members Digital Exhibition displayed at the 2017 Fall AEM Minnesota State Conference. designer at the Labovitz School of Business and Economics (LSBE), University of Minnesota Duluth (UMD), Duluth, Minnesota, October 5, 2017. ("Labovitz" is pronounced "Lay-boh-witz"). Patrick presented "The Problem with Creative Problem-Solving in Marketing and Graphic Design Brand Identity Development" as a guest in Assistant Professor Marat Bakpayev, Ph.D.'s Branding course and as a guest of MGD, the Marketing and Graphic Design Club in the Marketing Program at the Labovitz School, UMD. The Labovitz School (LSBE) offers a major in "Marketing and Graphic Design" (MGD), a Bachelor of Business Administration in Marketing and Graphic Design degree. Patrick Redmond Design received a 2016 American Graphic Design Award from GD USA [Graphic Design: USA magazine], New York, in GD USA's 53rd annual national graphic design competition, for his piece promoting his 2015 exhibition at the Textile Center, a national center for fiber art, Minneapolis, Minnesota, "The Fiber and Textile Art Book Design of Patrick Redmond, M.A.". Patrick Redmond served as a Goldstein Museum of Design graphic designer (1985-1986). The Goldstein Museum of Design, formerly known as the Goldstein Gallery, was then part of the University of Minnesota's former College of Home Economics, later the former College of Human Ecology, and is now part of the College of Design, University of Minnesota. For further specifics re: Patrick's work for the Goldstein Galllery, see www.PatrickRedmondDesign.com > About > Re: The Goldstein. The Goldstein Museum of Design celebrating 40 years in 2016. 2016 also marked 30 years since Patrick was a graphic designer, as a graduate student, for the Goldstein Museum of Design (then known as Goldstein Gallery) at the time while he was completing his master’s degree at the University of Minnesota, Twin Cities, and continuing his ongoing work as a practicing designer through his firm, Patrick Redmond Design. Believing in the importance of art and design in everyday life, and, as a proud alumnus of what is now the College of Design University of Minnesota graduate program, Patrick Redmond, M.A., through PatrickRedmondDesign.com, was a "Supporter" level sponsor of the Goldstein Museum of Design's 40th anniversary "Design is..." 7th annual benefit celebration. 2016 was the 50th anniversary since he began working in the field. Also of note regarding the University of Minnesota College of Design: As an alumnus of the University of Minnesota, Patrick Redmond was honored to serve as a Board Member of the University of Minnesota Alumni Association College of Human Ecology Alumni Society. As a Board Member of the College of Human Ecology (formerly College of Home Economics) Alumni Society, he was a founding co-chair of the inaugural Alumni Mentor Program, a predecessor of the University of Minnesota College of Design Mentor Program. Scholastic Art Awards alumnus Patrick Redmond, M.A., was honored to be the keynote speaker for the 2016 Minnesota Scholastic Art Awards noon and 1:30 p.m. award ceremonies at the Weisman Art Museum, University of Minnesota, Minneapolis, Minnesota, February 20, 2016. He had received a Strathmore Award for Graphic Design in the 1967 Scholastic Art Awards competition. He holds bachelor's and master's degrees from the University of Minnesota and he is an alumnus of MCAD, the Minneapolis College of Art and Design. His keynote speeches were also related, in part, to the 2016 50th anniversary of his beginning work in the field. Over 4,300 entries from throughout Minnesota had been submitted to the MSAA competition. Congratulations to the many talented students and teachers. Twin Cities Campus, Minneapolis, Minnesota. February 27, 2016 photo by Patrick M. Redmond. Copyright © 2016 by Patrick M. Redmond. Patrick Redmond continues to be involved with several proprietary initiatives in design, art, creativity, innovation, entrepreneurship, authorship, and publishing. Watch for related news, future updates and announcements. Patrick Redmond a Scholastic Art Awards Keynote Speaker at Weisman Art Museum. Scholastic Art Awards alumnus Patrick Redmond, M.A., was honored to be the keynote speaker for the 2016 Minnesota Scholastic Art Awards noon and 1:30 p.m. award ceremonies at the Weisman Art Museum, University of Minnesota, Minneapolis, Minnesota, February 20, 2016. He had received a Strathmore Award for Graphic Design in the 1967 Scholastic Art Awards competition. He holds bachelor's and master's degrees from the University of Minnesota and he is an alumnus of MCAD, the Minneapolis College of Art and Design. His keynote speeches were also related, in part, to the 2016 50th anniversary of his beginning work in the field. Over 4,300 entries from throughout Minnesota had been submitted to the MSAA competition. Congratulations to the many talented students and teachers. Patrick Redmond was a judge, with several other industry experts, for the Printing Industry Midwest (PIM) 2015 "Star of Excellence Awards" Competition. According to PIM, the “Star of Excellence Awards” is the “largest and most prestigious print competition in the Midwest.” Judging took place at PIM’s Twin Cities headquarters in February. PIM “is the trade association representing the graphic arts and communication companies in Iowa, Minnesota, Nebraska, North Dakota and South Dakota. Membership resources and benefits are designed to add value to companies that provide print, graphic communication services, market or manufacture supplies for the printing industry.” PIM’s mission is “to be the leading resource to enhance the strength and profitability of the printing, graphic communications and related industries through advocacy, education, safety and environmental information.” PIM is affiliated with the Printing Industries of America (PIA). PIA is an organization that “serves the interests of more than 10,000 member companies and an industry with more than $171.5 billion in revenue and approximately one million employees." Patrick had also served as a judge for the 2014 PIM competition. A former president of AIGA's Minnesota Chapter, Patrick Redmond attended AIGA Minnesota's AIGA Centennial Day Celebration, January 21, 2014, in Minneapolis, Minnesota. Several of his comments and images were included in the slide show at the event re: early history of AIGA Minnesota, including years when the organization was known as MGDA, the Minnesota Graphic Designers Association. Three comments and three examples of his work are also included among many comments and examples of work by others at the AIGA "Celebrate Design" "100 Years of Design" website related to AIGA's Centennial. See Patrick Redmond's "AIGA, a new vision for a new era," 22+ ideas for AIGA in "Comments" at www.AIGA.org webpage "What We [AIGA] Heard: Your Voice on AIGA's Future." Patrick Redmond was a panelist at the "Designers Mentoring Designers" Affinity Session on the topic of mentoring during the "Head, Heart, Hand: AIGA Design Conference" (the AIGA National Conference) in Minneapolis, Minnesota, October 11, 2013. Fellow panelists were Michael Bierut, Jennifer Kinon, and Pamela Mead (Patrick's protégée). The session was facilitated by Su Mathews Hale. See photo of panel at flickr.com. Read a more extensive draft of Patrick Redmond's mentoring-related biographical summary in addition to the brief version that is included with the list of speakers on the AIGA 2013 National Conference website. Click here for Mentor Resources. Patrick Redmond served, on an ad hoc basis, as one of many mentors at the AIGA Minnesota "60-Minute Mentor" luncheon, International Market Square, Minneapolis, September 26, 2013. Patrick Redmond attended the 2013 Yale Writers' Conference, Yale College, Yale University, New Haven, Connecticut. He received a spontaneous standing ovation from the instructor M.G. Lord and fellow workshop classmates after he read a revised version of his biographical writing about one of his mentors, the late graphic artist and design educator, Eugene Larkin. Redmond, Patrick M., M.A. "Letter to the Editor," "March/April 2013," GD USA [Graphic Design: USA], March/April 2013, Vol. 49, No. 2, p. 8. Note: Patrick Redmond's letter suggests an expansion of the New York-based, national trade magazine's list of "influential graphic designers, art directors, and/or design educators over the past 50 years" to be more comprehensive, including at least 1,000 names. Redmond, Patrick. "Letter to the Editor," in "Letters," Dwell, April 2013, Vol. 13, No. 5, p. 22. Note: Patrick Redmond's letter, edited by the editor, makes reference to Balthazar Korab's photographs of the Eero Saarinen-designed Milwaukee County War Memorial and Milwaukee Art Center, later known as the Milwaukee Art Museum. Patrick Redmond attended Children's Art Program classes in the Milwaukee Art Center during the early 1960s. Color in Design and the Applied Arts, A Selective Annotated Bibliography by Professor Emerita Marian-Ortolf Bagley and Barbara Ann Caron may be viewed online. Professor Marian-Ortolf Bagley was co-advisor, with Professor Eugene Larkin, for Patrick Redmond’s Master of Arts degree program at the University of Minnesota. She is one of Patrick’s mentors. Her mentorship related to design bibliographic citations and reference, for example, has been appreciated. During the 1980’s, various graduate students had provided numerous annotated bibliographic entries for early versions of this project. For example, as a graduate student in the 1980’s, under Professor Marian-Ortolf Bagley’s direction, Patrick had provided preliminary, annotated bibliographic research in the Graphic Design, Advertising, and Packaging categories for what has become "Color in Design and the Applied Arts." Patrick Redmond, Patrick Redmond Design, received a Merit Award in the "Self Promotion: Poster" category in the Advertising Federation of Minnesota's "The Show" 2012, November 9, 2012. 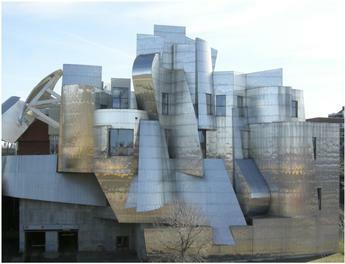 A color image of his Merit Award-winning work appears in The Show 2012 catalog (Minneapolis, Minnesota: Advertising Federation of Minnesota, November 2012), item B, p. 63. For further information, contact AdFed. The Advertising Federation of Minnesota is a member club of the American Advertising Federation (AAF.org). Patrick Redmond Design received a "2012 American Graphic Design Award" – for a poster titled "An Upper Midwestern Graphic Designer's Select Bibliography" – from New York-based Graphic Design: USA magazine. For nearly five decades, Graphic Design USA has sponsored this national competition, according to GD: USA, "receiving more than 8,000+ entries" this year... "of these, a highly selective 15 percent are recognized with an awards certificate." For further information and to see examples of award-winning work, see “American Graphic Design Awards,” GDUSA (Graphic Design: USA), The News Magazine for Creative Professionals, November/December 2012, Vol. 48, No. 9, p. 22 (“Patrick Redmond Design” listed); award-winning work, p. 211. The award-winning work may also be seen online at www.gdusa.com. Patrick Redmond led the initiative to include a list of AIGA Minnesota past Chairmen and Presidents, and years of their respective terms, under "About" at the AIGA Minnesota website. The list, a result of his efforts and other members of AIGA Minnesota, also includes the period when the organization was known as MGDA, the Minnesota Graphic Designers Association. The preliminary version of this list, a work in progress, may be seen at AIGA Minnesota's website under "About", Past Presidents. See further information about this initiative at Patrick Redmond Design News & Updates, 07.31.12. Patrick Redmond included in "People" section of New York-based, national publication GD USA (Graphic Design: USA), "The News Magazine for Creative Professionals," April 2012, Vol. 48, No. 3, p. 35. This may also be seen online at www.gdusa.com. 04.11.12. 42 years ago, April 11, 1970, Patrick Redmond met John Cage at the Macalester College, Saint Paul, Minnesota "Musicircus". Redmond had studied Cage's book Silence which was required reading at the time at the Minneapolis School of Art (now known as MCAD), where Redmond was a second-year student in 1970. Cage's ideas were among many influences in Patrick Redmond's development as a creative. New-music ensemble Zeitgeist presented concerts of Cage's music in celebration of the 100th anniversary of Cage's birth. See zeitgeistnewmusic.org for further information. Note: Patrick Redmond and Patrick Redmond Design are not affiliated with ZeitgeistNewMusic.org, Macalester College, or the late John Cage. See News, Updates, Etc. for further information.